This guide outlines our many options for support queries and assistance. Before you get started, please make sure that you are logged into Deputy. If you can, please take a screenshot of the issue for our Support team. The more information you can provide, the quicker we can resolve the issue for you. If you have been asked by our team to enable access, please follow the instructions all the way through the article. Deputy uses a Live Chat system which ensures that we’re always ready to help when you need it. There’s multiple ways to access the Live Chat system. You can access the Live Chat on Deputy.com. 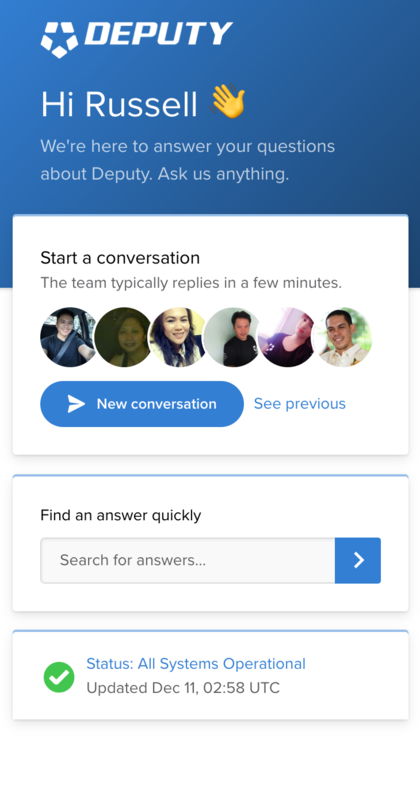 To access the Live Chat from Deputy.com, you can click the Live Chat icon in the bottom right of the screen. The icon can move as you scroll up and down the page, so you will be able to locate and access this quickly. When you click this icon, the following will appear. You will then need to click ‘New Conversation’ at the bottom, which will start up the Live Chat. Just type your question in the text box in the bottom and a Customer Experience member will respond shortly. You can access the Live Chat in other places other than the Deputy home page. After logging in, you will see the Live Chat icon in the bottom right corner. Simply click the icon as indicated in the image below and click ‘New Conversation’ to begin. The Live Chat may request that you click ‘Enable Support Access’. This will allow us to efficiently resolve your issue by allowing us access to the account. 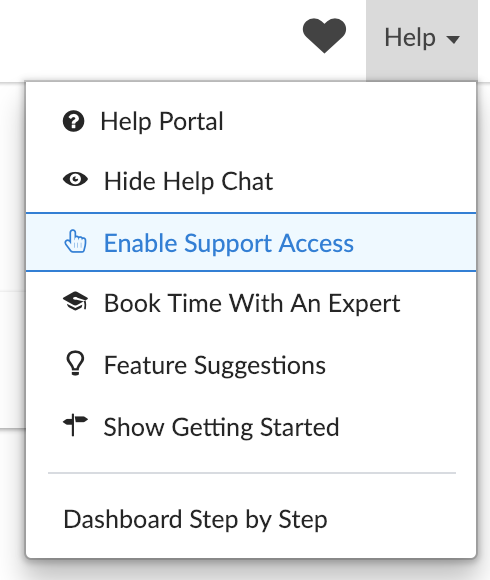 You can then click ‘Disable Support Access’ when the issue is resolved. 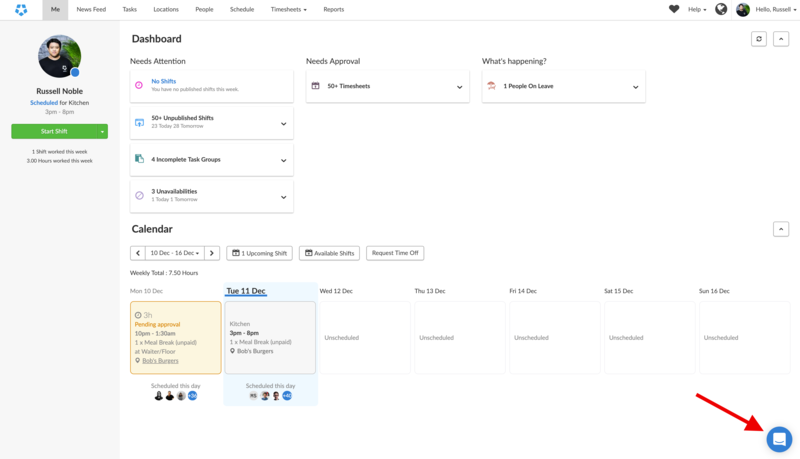 If there’s any features that you think may make Deputy better for you, click the ‘Feature Suggestions’ link. This will redirect you the the Deputy Aha page, where you can enter your suggestions or feedback. These are forwarded directed to the Deputy team who will then work on these improvements. This will redirect you to our Getting Started articles. These articles are basic guides that walk you through all the features of Deputy. From here, you can follow the prompts according to your needs.